Getting Around : Top Station – 34 km, Kollukkumallay Tea Estate – 38 km, Marayoor – 40 km, Chinnar Wildlife Sanctuary – 60 km. To Shop : Tata Tea Sales Outlet - Tea, Shristhi Welfare Centre – Strawberry, Spices. Getting There : Air - Nearest Airport – Cochin International Airport. Rail - Nearest Railhead – Ernakulam Junction. Pothamedu, one of the major plantation hubs of Munnar. It is situated at a distance of 6 kilometers from Munnar. Views of coffee, tea, and cardamom plantations are excellent from this place. It is an ideal place for trekking and hiking amidst lush mountains, rolling hills, and breathtaking scenery. The zigzag mountainous roads make an excellent place for long walks in the lap of nature. This beautiful hill station with its exotic flora and fauna and the cool mountain air is a rare experience. 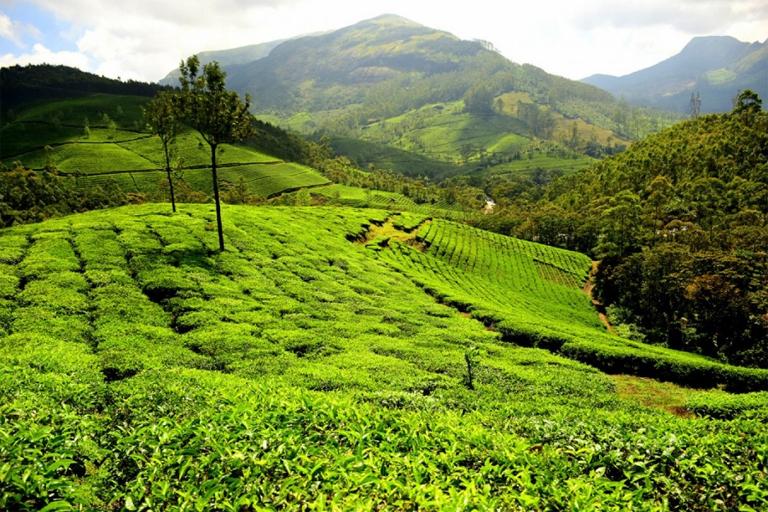 It is located at a distance of 7 kilometers from Munnar. The Sita Devi Lake with its mineral waters and picturesque surroundings is a good picnic spot. Pallivasal is situated around 8 km from Munnar. It is a place of immense scenic beauty. It has the distinction of being home to the first hydropower project in Kerala. Echo point is on the way to Top Station from Munnar. As its name suggests, the place has a natural echo phenomenon. It is 15 kms from Munnar. It is an excellent place, especially for young travelers to disembark for a while, yell out and we can listen our own voice coming back. Rajamala is home to almost half the population of Nilgiri tahrs. It is situated at a distance of 15 km from Munnar. The Eravikulam-Rajamala region is the natural habitat of this almost extinct species with around 1,000 of them staying here. This small hill station emanates an old-world magic with its old playgrounds and courts, bungalows, and sleepy little cottages that point to its colonial past. It is situated 10km from Munnar. This hill town is also famous to the tourists for its picturesque tea plantations. Nyayamakad is a land of magnificent waterfalls of Kerala. It is situated between Munnar and Rajamala. The waters cascade down a hill from a height of about 1600 meters.